SANTA CLARA, California, March 31, 2016 – QUANTIL, the US subsidiary of ChinaNetCenter, the leading CDN provider in APAC, is continuing its global CDN expansion in North America, Europe, the Middle East and Africa. So far, QUANTIL’s strategy is working and they are winning new business outside of China. ChinaNetCenter recently obtained US$600 million in funding for their network expansion plans. The funding will go into network expansion with the goal to reach 2,000 PoPs globally. This includes building 150 PoPs outside of China. ChinaNetCenter reported $472 million in revenue in 2015, 90% of which was from CDN services. QUANTIL is primarily focused on offering caching, streaming, storage, reporting and mobile SDK. In addition, QUANTIL be adding DDoS Mitigation and WAF capabilities over the next few quarters. 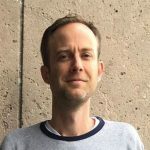 Will CDNs start to run into QUANTIL in more transactions in the US? In the near future, it is very likely. QUANTIL is a leading Content Delivery Network (CDN) on a global platform covering North America, Europe, the Middle East, Africa, Oceania, and Asia. We have an extensive network of over 700 Points of Presence (PoPs), and a data throughput surpassing 35 terabits per second. Our advanced technologies provide secure and scalable solutions to our customers, accelerating their content to local end-users. You can contact our team on Twitter @Team_QUANTIL or via e-mail. Olaf Jurgen Maltha joined the QUANTIL team in 2014. Initially, he managed partnerships to promote multi-channel sales while developing, launching and implementing our marketing strategy. Currently, he oversees all Business Operations.